Low Pressure Ball Valves are used for water, general oil and gas applications and there are three body styles of ball valves: single body, split body and three-piece body. The difference is based on how the casing that contains the ball itself are manufactured and assembled. 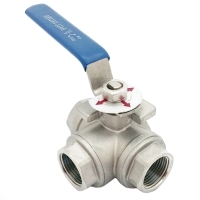 One piece ball valves are always reduced bore, two piece ball valves are standard bore. The 3 piece design allows for the center part of the valve containing the ball, stem & seats to be easily removed from the pipeline. This allows easy cleaning of dirt, replacement of seats without removing the pipes from the valve body. The design concept of a three piece valve is for it to be repairable. 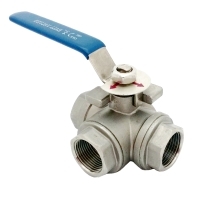 Size Range: 1/4" to 4"
We now have online shopping for Low Pressure Ball Valves. Ball valves can be found in the IMPA Marine Stores Guide, which is the world’s leading reference guide for maritime purchasing and supply. *Screw ends available in BSPP, BSPT, NPT. 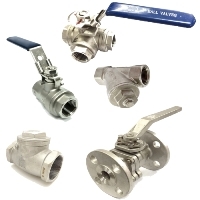 SHOP BALL VALVES COLLECTIONS HERE!